The Ontario Progressive Conservatives are proposing to end the longtime strategy of various governments of selling excess power to Quebec. Vic Fedeli, the MPP for Nipissing and the party’s finance critic, said in a recent interview the party will look to “stop shopping power” to Quebec and a number of U.S. states, in an effort to create jobs in the province. 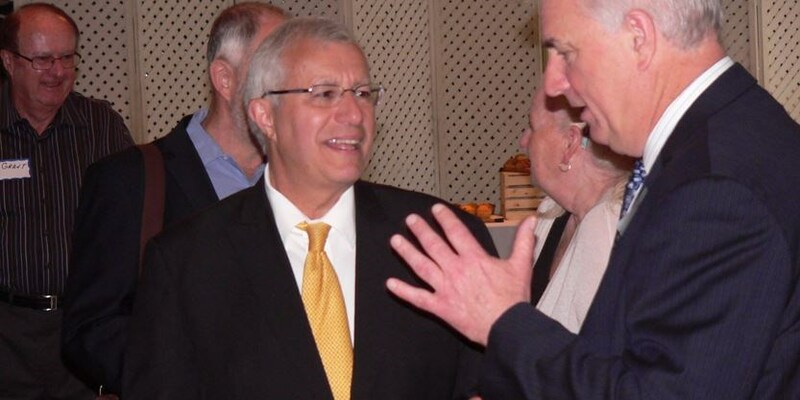 “We can use that power here in Ontario,” said Fedeli after addressing about 25 people at a breakfast meeting of the Hamilton chapter of the Macdonald-Cartier Club at Marquis Gardens last month. “If there is a way for us to use that power at night to create some employment and use that power up to cover your hydro bills (and) allow businesses to put on a third shift,” the party should do it. A study by the Consumer Policy Institute revealed that Ontario customers have paid $6.3 billion over the last decade to cover the cost of selling electricity to customers outside the province, predominately to Quebec, New York and Michigan. In 2011, surplus power was sold by the province for about $418 million. In some instances, power is sold for a penny or two per kilowatt hour, and sometimes even given away to the interconnected grid linking Ontario with New York, Quebec, Michigan, Manitoba and Minnesota. Fedeli said Quebec has lower hydro rates than Ontario and is enticing businesses to relocate to the province. He said Google chose to locate its first data centre in Canada in Montreal, Que. rather than in Ontario due to the lower energy costs. “This goes on and on, not just the companies that left Ontario, it’s the companies that chose not to come to Ontario,” he said. The Independent Electricity System Operator (IESO) has stated selling surplus power is not new and has happened over the years under governments of all political stripes. Ontario also, it stated, takes advantage of low energy prices on the grid from other areas. Fedeli said the Tories are also preparing to eliminate the Green Energy Act, which the party has stated has provided expensive subsidies to renewable companies for power that Ontario already has. He also wants to slash Hydro One’s $11 million pay for its chief executive officer and four of the top executives to the more manageable salaries of counterparts at Hydro Quebec and B.C. Hydro where they make about $400,000. “It makes no sense making that kind of money,” he said. During his address, Fedeli took aim at various Liberal ministers and accused them of providing incorrect facts about how well Ontario’s economy is doing. He said Brad Duguid, minister of economic development, has stated that Ontario is “growing faster than the United States.” Yet, said Fedeli, Arkansas, Washington, Oregon all have higher growth rates than Ontario. Fedeli added that Duguid said Ontario is the “top foreign direct investment location” in North America. “Well, no we’re not the top foreign direct investment destination we used to be,” he said. He said Ontario is the fourth highest location for direct foreign investment. Duguid’s office did not respond to a request for comment. But the ministry’s website states Ontario is the “North American leader in attracting foreign capital investment, dated 2015. A report from fDi Intelligence, a division of the Financial Times Limited, showed Ontario leading for the second year in a row for foreign capital investment, receiving $7.1 billion; ranked third when it comes to foreign direct investment job creation with 13,055 from 6,102 in 2013; and ranked second in the number of foreign direct investment jobs in the finance sector and first for automotive and life sciences sector. In the fDi 2017 report on global investment, Ontario ranks third for foreign investment, surpassing Texas and Florida, from $4.1 billion 2015 to $4.5 billion in 2016. Fedeli also took issue with the Liberal government’s description of Ontario returning as Canada’s economic engine. Ministers and Premier Kathleen Wynne have stated, including in visits to Hamilton, that Ontario is booming again. Yet, said the former North Bay mayor, referring to an analysis from the Fraser Institute, British Columbia, Manitoba and Quebec all have lower unemployment rates than Ontario. Fedeli said the major reasons why Ontario’s financial situation is in such a precarious situation is because of the high taxes, topping out at 53.5 per cent and the rising debt of over $300 billion, making Ontario the world’s most indebted subsovereign borrower. “The deficits are going to get bigger,” said Fedeli, referring to the Liberals’ decision to extend the borrowing plan to finance the 25 per cent hydro rate cut under the party’s Fair Hydro Plan.